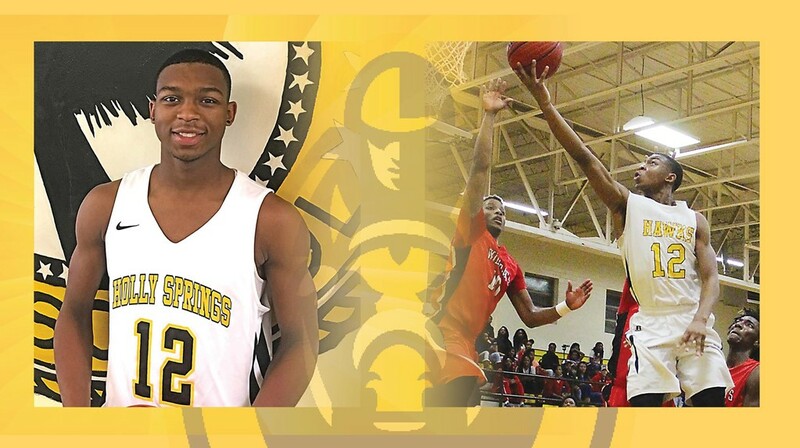 Murray State men's basketball coach Matt McMahon announced the signing of 6-2 guard DaQuan Smith, out of Holly Springs High School in Holly Springs, Mississippi. Smith will play his senior season in 2017-18 and be a freshman with the Racers in 2018-19. "We are extremely excited to welcome DaQuan and his family to Murray State," said McMahon. "DaQuan is a very explosive scorer with great athleticism at the guard position. He can really shoot the three with NBA range, and also excels as a creative scorer off the dribble. Off the court, DaQuan is a good student and the president of his class at Holly Springs. He is going to make a tremendous impact in our program, both on and off the basketball court." Recently named to the Clarion Ledger boys' basketball Dandy Dozen (top 12 players in the state), Smith has impressed in his three seasons of varsity basketball at Holly Springs. "DaQuan is a high character young man," said Holly Springs Coach Sylvester Kilgore. "He's a leader on the court and off it. He's got explosive athletic ability and can score at a high rate. He's got a great jump shot and has great range for the college game." The Murray State program is getting a talented player as Smith heads into his senior season with more than 1,800 career points and is on pace to become the all-time scorer at Holly Springs. "A lot of interest was shown, but you go where you're wanted," Kilgore added. "The way Coach McMahon runs his program at Murray was very appealing to DaQuan and his family. It's a family-type atmosphere and the team was very welcoming. I've had a lot of talented players come through here, but DaQuan is the strongest academically. He'll have college credit when he arrives at Murray and that's exciting for me as a coach and the teachers at our school." Smith averaged 26.3 points per game as a junior in the 2016-17 season and was named Mississippi All-State as a sophomore and junior. He led the Hawks to the Mississippi State Tournament three-straight seasons in Class 3A. HSHS has won three-straight district titles in going 29-1.